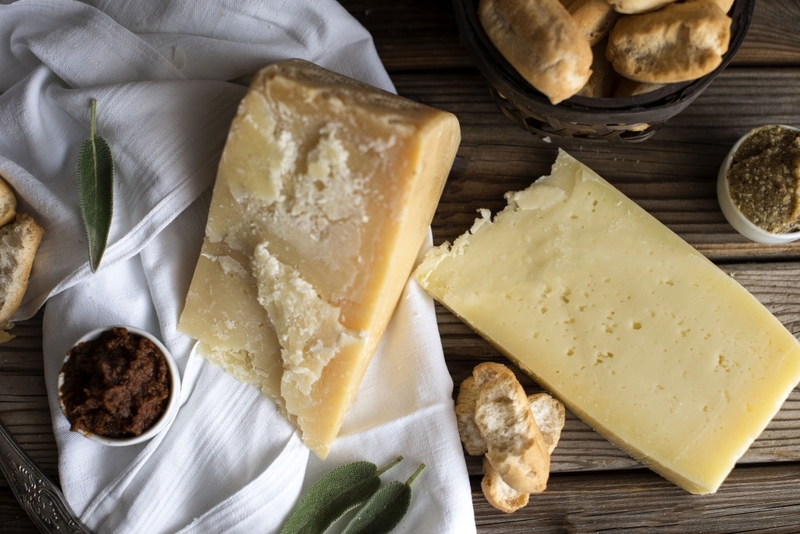 4 things you want to know about Montasio cheese. 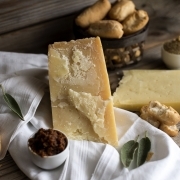 Montasio Pdo is a cooked curd, semi-hard mature cheese, with regular small eyes overall, this is well known, and nonetheless, some peculiarities of this Italian food excellence remain mostly untold. 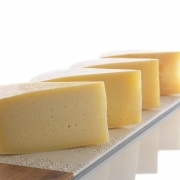 First, the Montasio cheese is named after the plateau of the same name located in the Friulian Mountains. Therefore, it is widely believed that the production area includes the Friuli Venezia Giulia region only. On the contrary, it stretches to the provinces of Treviso and Belluno and, in part, in those of Venice and Padua. Moreover, it is often thought that all the products deriving from milk contain lactose, but this is inaccurate. In fact, in the production of some aged cheese, batteria are added to milk, which eliminate lactose and transform it into lactic acid. This happens even for cheese aged for at least two months. This is naturally lactose-free; therefore, it suits to those who are intolerant to this milk sugar. In detail, laboratory tests show that Montasio contains values of lactose lower to 0.01 g for 100 g of cheese: more than 10 time less of the limit values set out by national and European legislation. Few knows that Montasio cheese, like milk and yogurt, contains tryptophan, an amino acid precursor of serotonin. This neurotransmitter, together with melatonin carries out a relaxing action contributing to regulate the natural sleep pattern. Even calcium contained in Montasio helps to sooth the nervous system and reduce stress. Finally yet importantly, it is important to dispel the myth that cheese makes people fat. 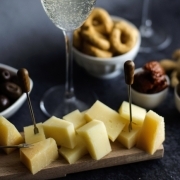 As a matter of fact, according to a study of the University College of Dublin, based on a sample of 1500 people aged between 18 and 90 years, consumers of cheese and dairy products have a lower body max index and cholesterol levels with respect to those who don’t assume cheese or prefer low-fat dairy products. 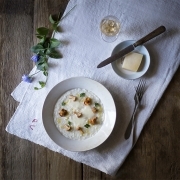 For the peace of mind of Montasio lovers: following proper eating habits as for caloric intake as indicated in the nutrition facts table you can find at this link: http://www.montasio.com/nutrition education/. http://www.montasio.com/wp-content/uploads/2018/11/MONTASIO05-e1542289984531.jpg 601 900 vodu http://www.montasio.com/wp-content/uploads/2018/05/logo_2.jpg vodu2018-11-15 14:53:272018-12-13 16:56:484 things you want to know about Montasio cheese. 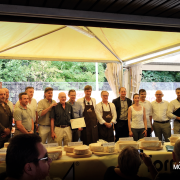 Montasio PDO cheese “Product of the Mountain” (PDM) and “Italian Red Pied Only” (PRI, Pezzata Rossa Italiana): “back to future” in the dairy tradition. 5 unique places to eat Montasio cheese: the ranking. 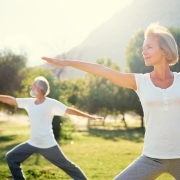 Fit over 50s, foods for a beautiful and healthy body.